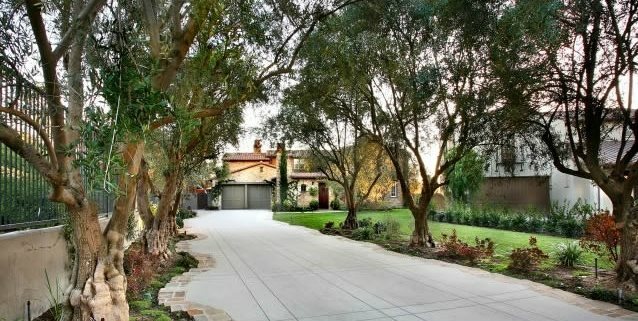 The width of this driveway changes to create a unique, wavy edge. AMS Landscape Design Studios in Newport Beach, CA. 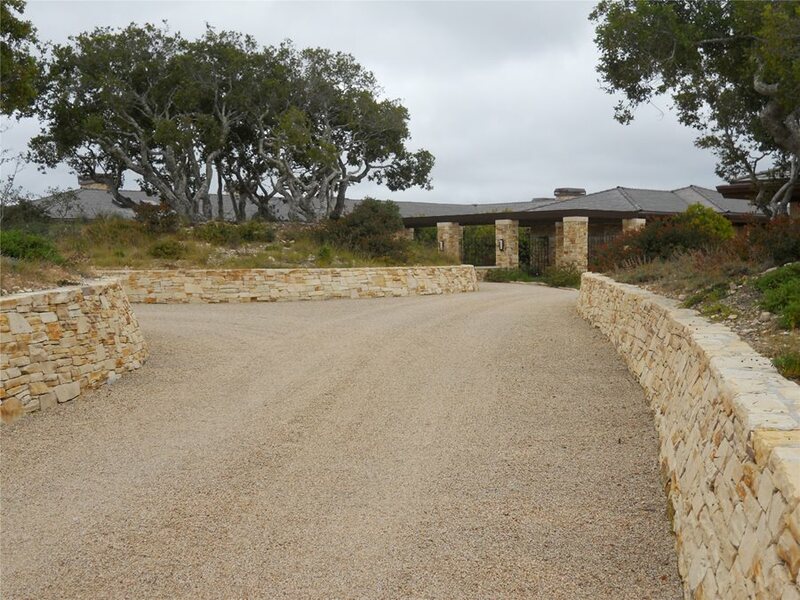 Because of the retaining walls along its edges, this driveway was made extra wide so it wouldn't feel crowded or tight. Landscaping Network in Calimesa, CA. 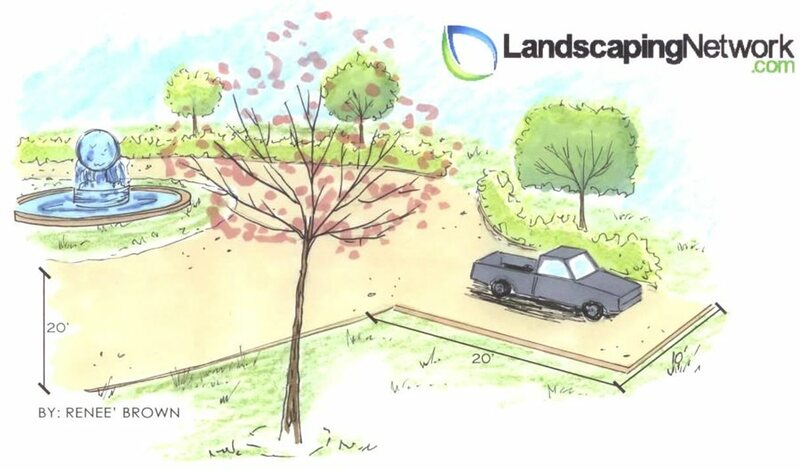 This drawing shows a circular driveway wide enough for two cars and with space for parking. The standard driveway width for residential homes ranges from 9 feet to 24 feet. The width of your driveway will vary based on whether you want a single car drive or double car drive. Additionally, the width may change to accommodate parking or a turn-around, these added features will change the cost of your driveway. 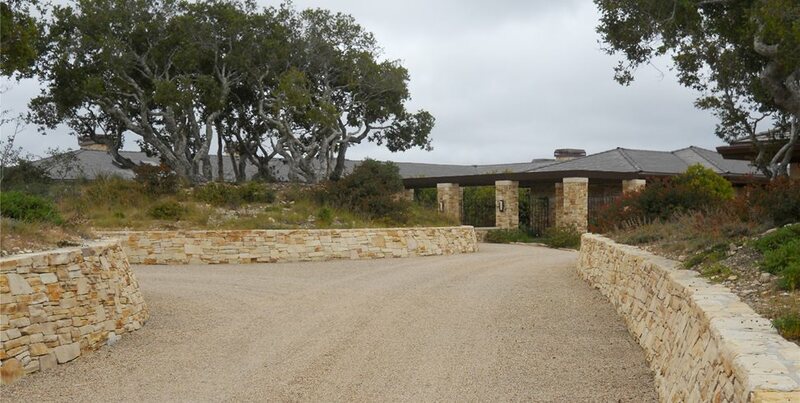 See the makeover of this 400ft driveway. Single car driveways can be as narrow as 9 feet, or as wide as 12 feet. A 9 foot driveway is quite tight and may have difficulty accommodating larger vehicles such as delivery or trash trucks. Additionally, 9 feet may mean that guests are stepping in grass or dirt as they exit their vehicles. However, anything wider than 12 feet, but less than 20, is a waste because it is too wide for one car, but not large enough for two. Double car driveways can be between 20 and 24 feet wide. A driveway width of 20 feet provides enough space for two cars to pass, but not quite enough room for parking side-by-side and opening doors. If you need space for parking two cars, consider making your driveway 24 feet wide. Compare circular, curved, and straight driveway layouts. Pro Tip: Home builders often install concrete driveways following minimum guidelines for width, making it difficult to step out of a car door and not step into the lawn or planter areas. From a design standpoint, I always leave at least 2 feet of space adjacent to driveways before introducing pilasters or planters to leave room for a car door swing. Better yet, consider adding decorative bands to widen the drive and make it easier for guests to step out onto hard surface. If your driveway has or will have walls along it, you'll need a buffer zone of a foot or two on each side. Such a buffer zone will prevent car doors from banging into the wall and getting damaged. This extra space can be paved or unpaved, depending on your preference and budget. 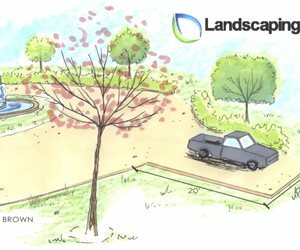 Many cities have codes that limit the width of driveway openings, so make sure your landscape designer is aware of these. Even if your city only allows a 14 foot opening, your driveway can widen into whatever width is necessary. For example, many homeowners opt for a driveway that begins at a single car width, but widens into a double car width near the garage. 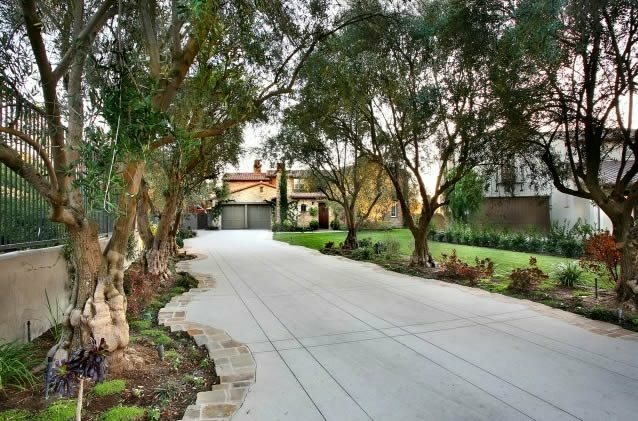 The total length of a driveway is completely based on your property's needs. For example, your home may only be twenty feet off the street, or it may be a quarter of a mile away. However, length does come into play when considering adding parking or a turn around to your driveway. At a minimum, parking stalls require 10 feet of width and 20 feet of length. A turn-around should provide just enough space for a car to back into and pull out of in drive. The typical dimensions for a turn-around are 10 feet by 20 feet. However, sometimes the full 20 feet of back-up space is not required and can be reduced. But then the turn-around cannot double as a parking space.